He has excelled at youth level for club and country, deservedly receiving plaudits for his goal-scoring prowess. 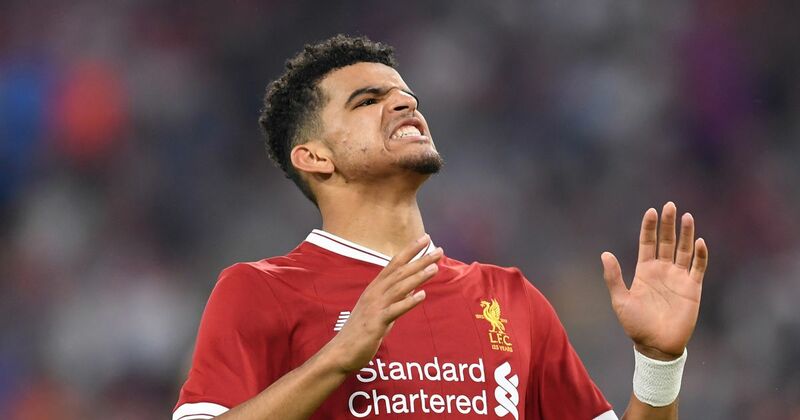 But in order to even have a chance of breaking into Liverpool’s devastating attacking, Dominic Solanke needs to leave Anfield whether that be temporary for permanent. The Englishman has successfully spearheaded his youth teams for several years now, winning a countless number of team as well as individual trophies. After moving from Stamford Bridge to Anfield, the striker failed to set the world alight for the Reds last season with just 1 goal and 1 assist in 21 games. With Liverpool’s front line among the greatest in world football and even players like Xherdan Shaqiri and Daniel Sturridge struggling to break through, Solanke’s first team opportunities have been limited. Both Crystal Palace and Rangers are interested in taking him on loan until the end of the season. But there have also been rumours over a permanent move for the former Chelsea striker. Despite being 6ft 2 with a lanky physique, the 21-year-old is surprisingly fast. Able to receive the ball directly to his feet whilst also having the ability run onto over the top deliveries, Solanke’s burst of pace comes as a surprise to opposition defenders. With Christian Benteke, Alexander Sorloth and Connor Wickham all being target men that hold up the ball rather than run at defenders, the Englishman would offer a different outlet for the Eagles. Again with his height and physique, you wouldn’t expect the former Chelsea forward to be good on the ball. Coupled with his agility, his great first touch means he can receive the ball from out wide or from deep in midfield and take it away from the defender with ease. Solanke also has superb footwork for a player of his ilk and, as shown in the video, is able to cope with pressing well. The obvious quality clubs will want from the Liverpool striker is putting balls into the back of the net. Solanke is a proven goalscorer at youth level, receiving the Golden Ball for 4 goals in 7 games in the England U20s World Cup triumph. Underwhelming performances in his debut top-flight season overshadow the reputation he has as a talented goal scorer. The fact Chelsea were unwilling to let him go and Liverpool were willing to pay £3 million for him suggests he is a prospect. Dominic Solanke has all the attributes to succeed in his career, starting with a loan move this January. He needs to regain his confidence to continue his development and potentially play a larger part in Jurgen Klopp’s plans. We’re confident he’ll do well wherever he goes.